: I am a member of COLORFULL WALLIES! Pretty cool idea. Thats a lovely image of Saber. Nice work! wow the wallpaper looks very nice, the colors are very good. Lovely wallie! I like what you did with the frame~ It's so pretty! It matches so well with the character in the scan, especially her hairstyle (very country style~). Well this is really nice. Nice patterns, nice concept in framing the character. Nice wallpaper indeed! 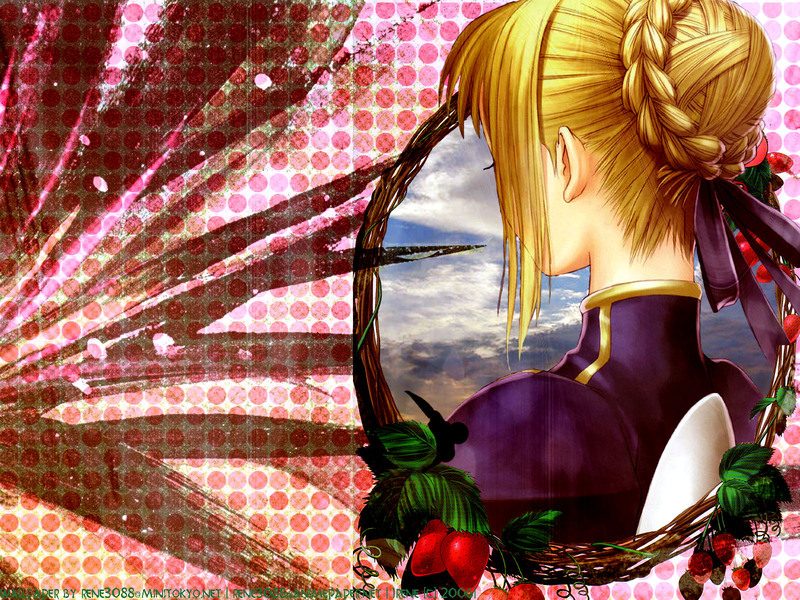 ooo.. saber look sweet with the pattern round circle aroung her ...lol!@! Beautiful wallpaper. The way you did it is wonderful! Wow! I also thought that she had a very nice hairstyle. A very original approach - her sweet neck makes her seem so much more tender and even vulnerable.